How much do Pacers suites cost? Prices typically range from $2,000 - $8,000 for Indiana Pacers suites. Prices vary based on day of game, opponent, and the location of the suite. The reason for such a large price range is because the opponent can fluctuate Pacers suite prices that much. Luxury suite prices for concerts and other events at Bankers Life Fieldhouse can vary widely based on the type of event. This Indiana Pacers suite is located on the lower level. It features first class amenities such as premium in-suite catering options, HDTV, interior/exterior seating, upscale furnishing and a dedicated suite attendant. Guest attending a Pacers game in a suite at the Bankers Life Fieldhouse will have exclusive access to VIP clubs and private entry into the arena. After a breakout season in 2018, Victor Oladipo and the Indiana Pacers have high expectations this year. Most of last year’s team will return, in addition to free agent acquisitions Tyreke Evans and Doug McDermott. The Pacers were just one game shy of defeating LeBron James and the Cleveland Cavaliers in the first round of the playoffs, which has motivated them to come back even stronger. Victor Oladipo was an easy choice for Most Improved Player last season. Besides improving in nearly every statistical category, Oladipo proved he can be the best player on a legitimate playoff team. His ability to lead the Pacers and control the offense was remarkable, along with his electric speed and highlight dunks. After bouncing around from Orlando to Oklahoma City, it seems as if Victor Oladipo has found his home as an All-Star in Indiana. Darren Collison and Cory Joseph will split time at the point guard position, joining Oladipo in the backcourt. Rookie Aaron Holiday may also see significant time on the court if he proves he is ready. On the wing, Tyreke Evans and Doug McDermott will provide much needed depth behind Bojan Bogdanovic. Evans is a tremendous playmaker, while McDermott’s shooting ability makes him an elite threat beyond the arc. The frontcourt combination for Indiana will be the same as it was last season: Myles Turner and Thaddeus Young. Turner is one of the best young players in the league, and his development will be important to keep an eye on this season. His elite length and athleticism make him a threat on both ends of the floor. Meanwhile, Thaddeus Young is a savvy veteran who played a crucial role for this team last year. Aside from his slashing and scoring on the court, Young’s value comes off the court as a mentor to young power forward Domantas Sabonis. Sabonis enjoyed a fantastic season last year after being acquired from Oklahoma City. Turner and Sabonis are two players who Nate McMillan and the coaching staff hope can become Indiana’s frontcourt duo of the future. A Bankers Life Fieldhouse suite will feature first class amenities such as premium in-suite catering options, HDTV, balcony seating, upscale furnishing and a dedicated suite attendant. Guests attending a Pacers game in a Bankers Life Fieldhouse suite will have exclusive access to VIP clubs and private entry up to the Krieg DeVault Club Level. The most common private suite at Bankers Life Fieldhouse will include 14 tickets with an option to purchase up to 10 additional tickets. Guests will also receive 5 VIP parking passes with their Pacers suite. 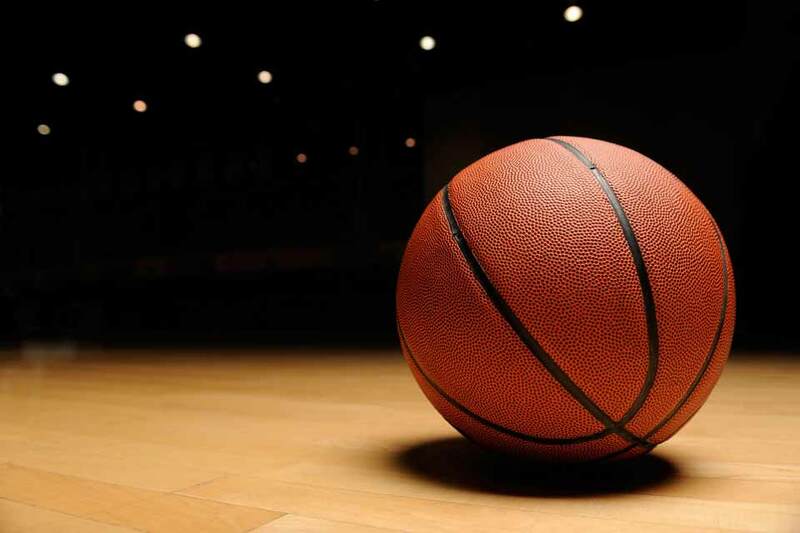 Indiana has long been known for its love of basketball, so entertaining any Hoosier at Bankers Life Fieldhouse is a great way to build a relationship with clients or just have fun with family and friends. The Pacers had a good season in 2016, they went 45-37 and finished with the seventh seed in the East, but this season the Pacers have the chance to be special. Larry Bird went to work in the offseason to improve the team. The Pacers traded for Thaddeus Young and Jeff Teague then signed big man Al Jefferson in free agency. Adding Young, Teague and Jefferson to a team built around superstar Paul George makes the Pacers an extremely exciting team in 2016, not to mention a legitimate contender in the East. Thaddeus Young and Jeff Teague will allow the Pacers to play a much more up-tempo and high-scoring pace than the team has previously. Paul George has rewarded the faith that the Pacers put in him a couple seasons ago when they traded away Danny Granger to clear the way for him. George has turned into a dynamic scorer and excellent defender, making him one of the best players in the league. The other player the Jazz hope will be a cornerstone going forward is Myles Turner. Turner was the 11th pick out of Texas in the 2015 draft. In his rookie season he quickly showed that he should have been picked much higher as Turner has become one of the few players in the NBA that can stretch the floor, score in the post and protect the rim on defense. If Turner can continue his development into the Pacers second star alongside Paul George, Indiana should compete for one the top-four seeds in the Eastern Conference. An Indiana Pacers suite will feature first class amenities such as premium in-suite catering options, HDTV, balcony seating, upscale furnishing and a dedicated suite attendant. Guest attending a Pacers game in a suite at the Bankers Life Fieldhouse will have exclusive access to VIP clubs and private entry up to the Krieg DeVault Club Level. The most common private suite at Bankers Life Fieldhouse will include 14 tickets with an option to purchase up to 10 additional tickets. Guests will also receive 5 VIP parking passes with their Pacers suite. Bankers Life Fieldhouse will also host Amy Schumer, WWE Night of Champions and Carrie Underwood. The Indiana Pacers have spent most of the 2014-15 season towards the bottom of the Central Division and Eastern Conference. Although playing in such a weaker Eastern Conference still leaves the door open on making the playoffs. The Pacers have done their best without their star player this year, Paul George. George has missed this season due to injury. Pacers’ head coach Frank Vogel is certainly hoping that Paul George will be back to his All-Star form again in the 2015-16. David West is the team’s most consistent scorer this season. West is averaging over 15 points per game. The Pacers have had their share of injuries to their guards. C.J. Watson, Rodney Stuckey, Donald Sloan and George Hill have all been hit with injuries at some point this season. Luis Scola is a good presence off the bench, averaging around 20 minutes per contest. Roy Hibbert’s defense is much improved from a year ago. Hibbert is averaging nearly 2 blocks per game. An Indiana Pacers suite will feature first class amenities such as premium in-suite catering options, HDTV, interior/exterior seating, upscale furnishing and a dedicated suite attendant. Guest attending a Pacers game in a suite at the Bankers Life Fieldhouse will have exclusive access to VIP clubs and private entry up to the Krieg DeVault Club Level. Thank you for signing up for specials at Bankers Life Fieldhouse. Enter your email address below to stay in touch. We'll sign you up for our newsletter, which will inform you of the latest inventory and events at Bankers Life Fieldhouse. We promise we will never sell or distribute your information. The seating chart below shows where the Indiana Pacers suites at Bankers Life Fieldhouse are located.